Oh my gosh, HELLO autumn…you beautiful, honey-coloured, heart-warming season. It is the time of year when Mother Nature produces her best show and the sun is seduced into playing along. Warm winter coats come out of the cupboard and kids can play in the golden hour and not be cranky because it is past bed-time when the photographer wants to shoot. 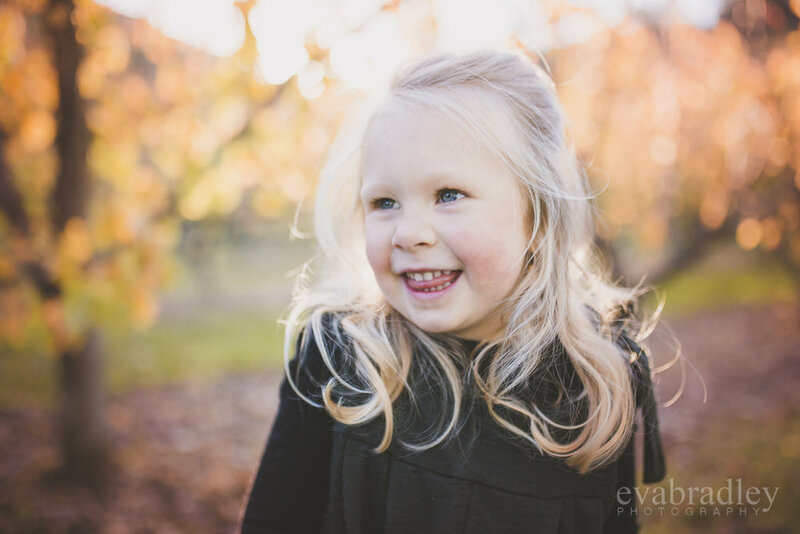 I was so stoked when I heard from Chris and Kate a couple of years after I shot their little daughter, Chiara, when she turned one. She now had a sweet little brother called Blair, who was at the same stage she had been, just getting up onto two feet and filled with the joy of being alive and part of the team. 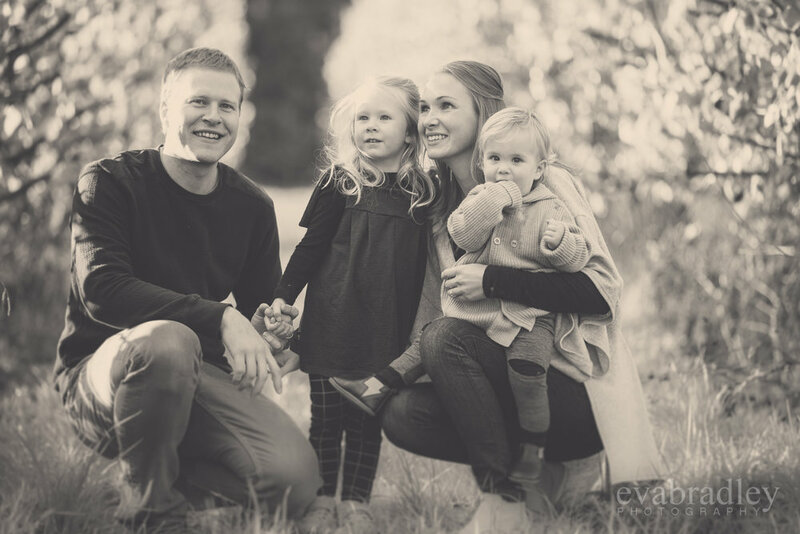 This family portrait shoot was especially sweet for me to photograph as my two boys are a similar age to Blair and Chiara and go to the same kindy in the little coastal village of Bay View where we live. 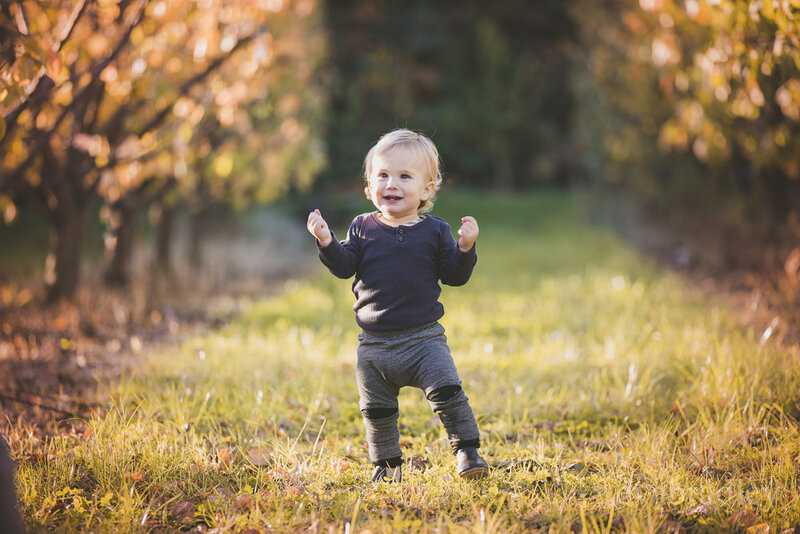 I’ve watched Chiara grow up alongside my eldest and seen Blair with his mum at drop-off time as he turned from a tiny little newborn into this confident (if wobbly) toddler. It also meant the family were totally keen to follow my suggestion to shoot locally in some of my favourite autumn spaces. 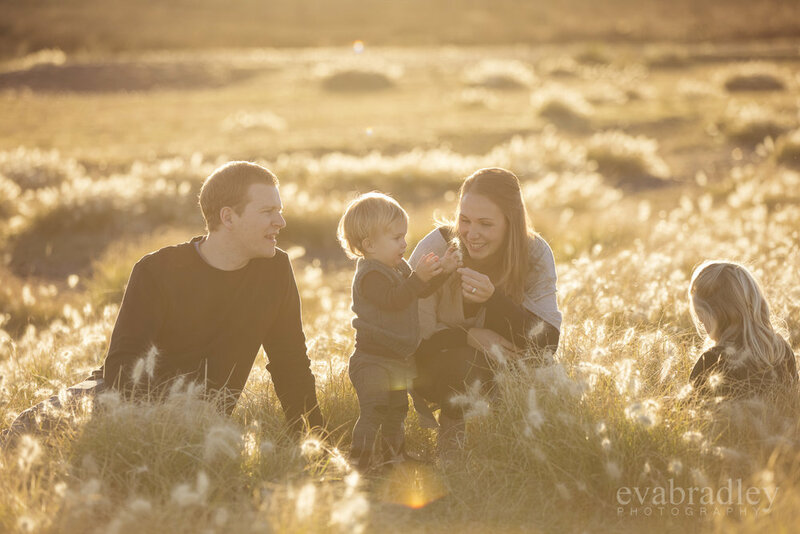 The best thing about autumn and winter family sessions (apart from the fact I can actually DO them because I’m not shooting lots of lovely weddings!) is that the light is at its best around 4-5pm (instead of after 8pm in summer). This works so well for young families, so if you’re interested to learn more, GET IN TOUCH or visit the FAMILIES page on my website where you’ll see pricing info and some more lovely images. Thanks so much to Kate, Chris and their darling wee ones for letting me share their images.